Sometimes when I do my nails for the holidays, I forget that simple manicures can also be appropriate & more fun than extravagant nails. 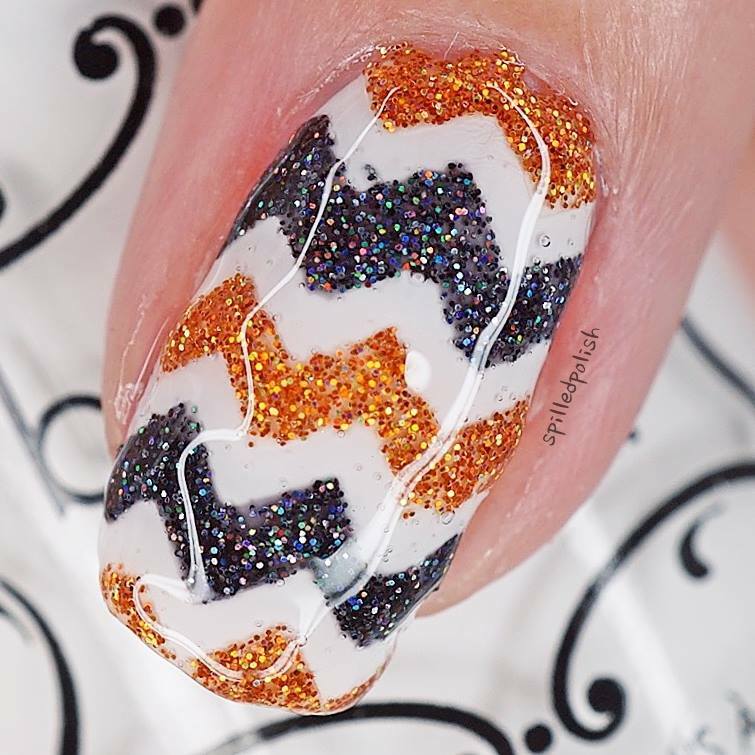 These glitter chevron nails are simple, but the glitter takes it up a notch! I started by painting my ring finger with one coat of Beyond the Nail – Bright White. 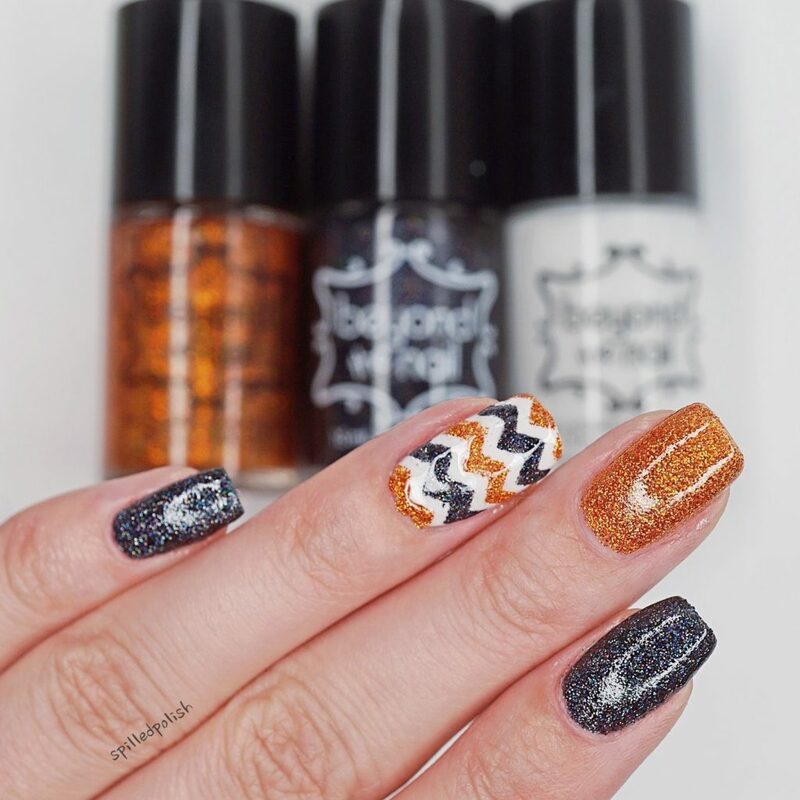 When it was dry, I placed on some thin Chevron Nail Guides and painted in the open areas with Beyond the Nail – Holographic Copper Microglitter and Beyond the Nail – Holographic Black Microglitter. I painted my middle finger with three thin coats of the Holographic Copper Microglitter, and my pinky and index finger with three thin coats of the Holographic Black microglitter. 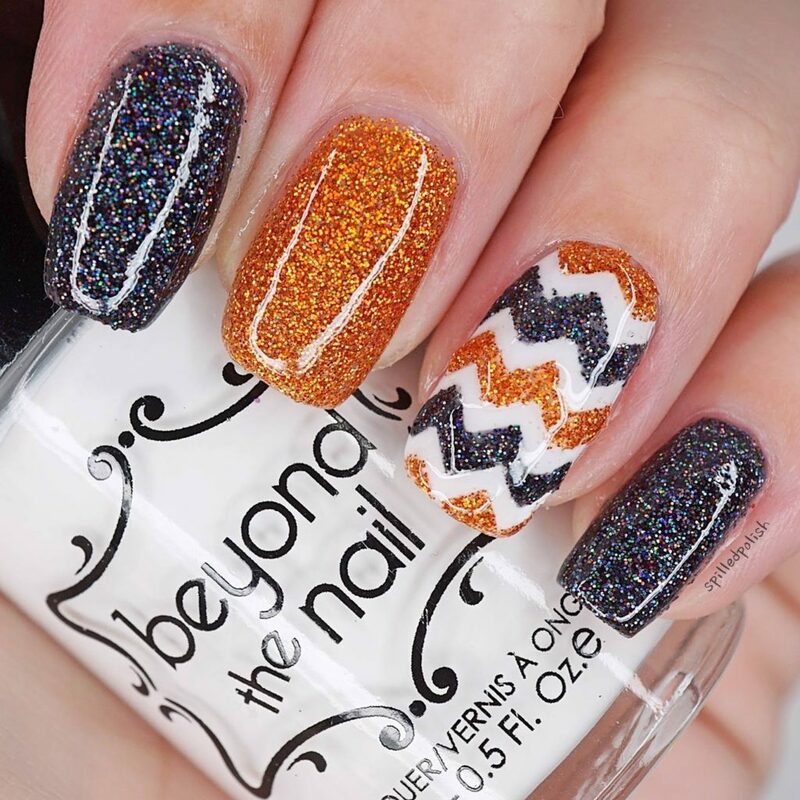 I finished off each nail with one coat of Beyond – Base and Top Coat. Would you paint your nails like this?